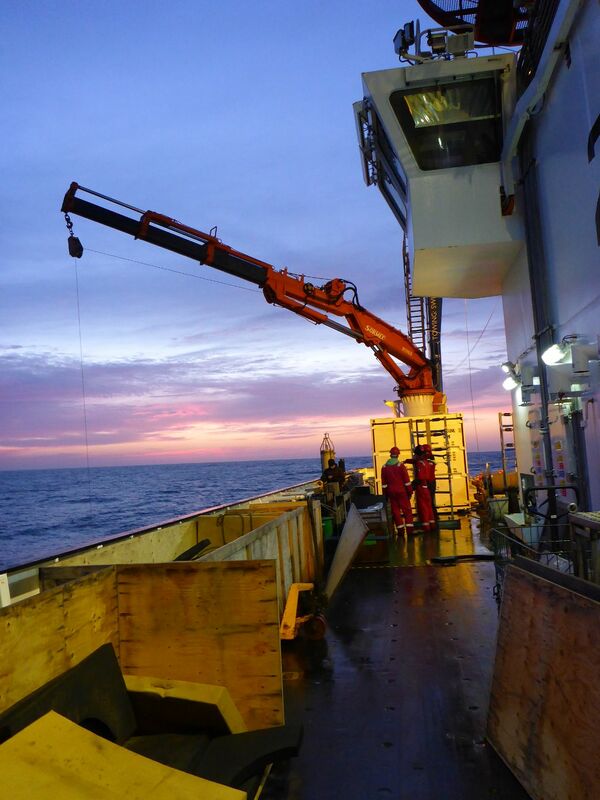 In the context of nowadays increasing atmospheric CO2 concentration, a large effort is being made to understand how the ocean life accelerates its sequestration in the deep ocean. A large fraction of the CO2 transformed to organic molecules via photosynthesis performed by marine plankton, returns to CO2 through the activity of heterotrophic microbes in the shallow part of the water column. Yet, a non-negligible part of this organic matter aggregates and falls down to deeper ocean layers, which induces carbon sequestration. When associated with dense minerals like opal (produced by silicifying plankton) and calcite (produced by calcifying organisms) or dust brought by the winds and falling into the sea, this organic matter may fall quicker to the ocean depths, increasing atmospheric CO2 sequestration. Understanding the rate of transformation of marine organic carbon back to CO2 by heterotrophic microbes is crucial if we want to evaluate the magnitude and duration of atmospheric CO2 sequestration to the deep ocean. Along their journey through the deep ocean, organic particles and microbes experience temperature decrease, along with an increase in hydrostatic pressure. 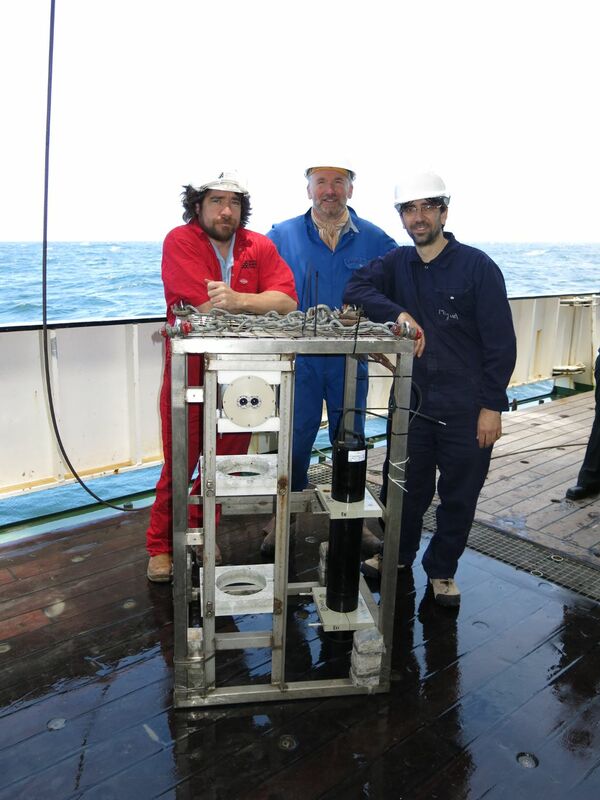 In order to assess the effect of increasing hydrostatic pressure, high-pressure systems have been developed at the Mediterranean Institute of Oceanography (MIO, Marseille, France), which allow collecting water at the in situ pressure, maintaining this pressure while bringing the bottles back to the surface, and transferring fractions of the deep seawater sample aboard the ship, to measure different parameters. Among those, the incorporation of radioactive organic matter by the microbes allows measuring the Prokaryotic Heterotrophic Production (PHP). 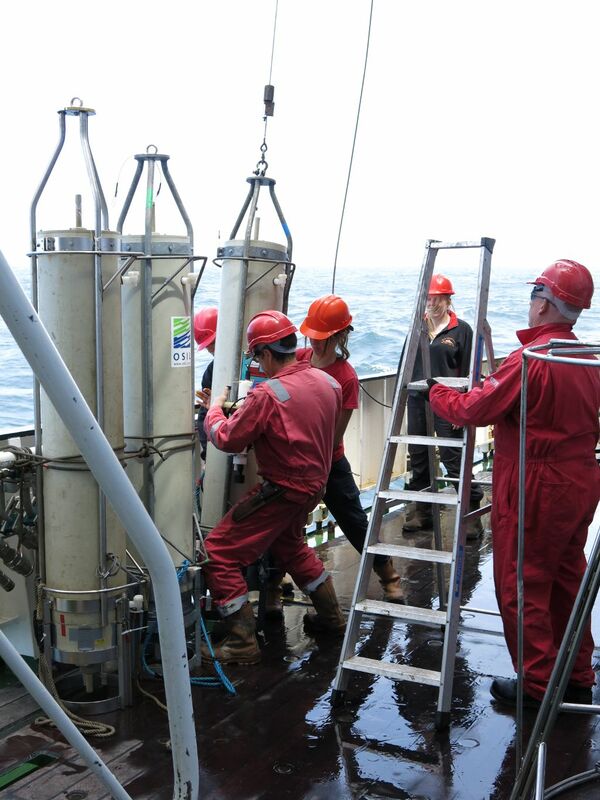 Since the microbes are diluted in the ocean and their activity is very slow, it is detected with more precision using very sensitive methods involving radioactive tracers. In association with the measurement of oxygen consumption, PHP allows estimating the intensity of the rate of “re-mineralization” to CO2 by the microbes. During PAP cruise DY032, a container has been brought on board by the French team (Christian Tamburini, Marc Garel, Nagib Bhairy, Sophie Guasco and Virginie Riou, MIO), fitted with all the hyperbaric equipment, and fulfilling the security requirements for the use of radioactive tracers. 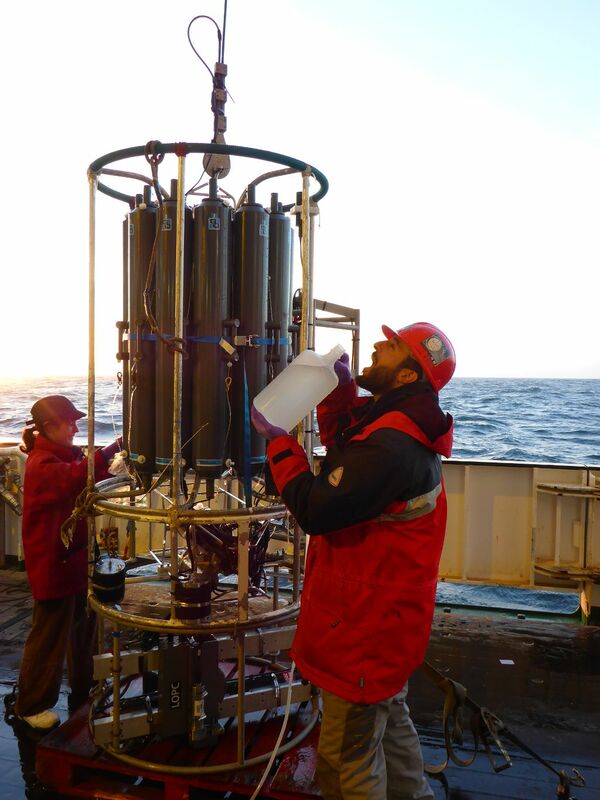 In situ prokaryotic activities were measured in seawater samples and aggregates collected at different depths (using conventional bottles as well as marine snow catchers) and compared to the same activity measured at atmospheric pressure. These data will be related with parallel measurements of microbe diversity, and of the chemical composition of the particles in order to understand if opal, calcite and/or dust influence the rate of natural organic carbon re-mineralization to CO2 at the PAP site. 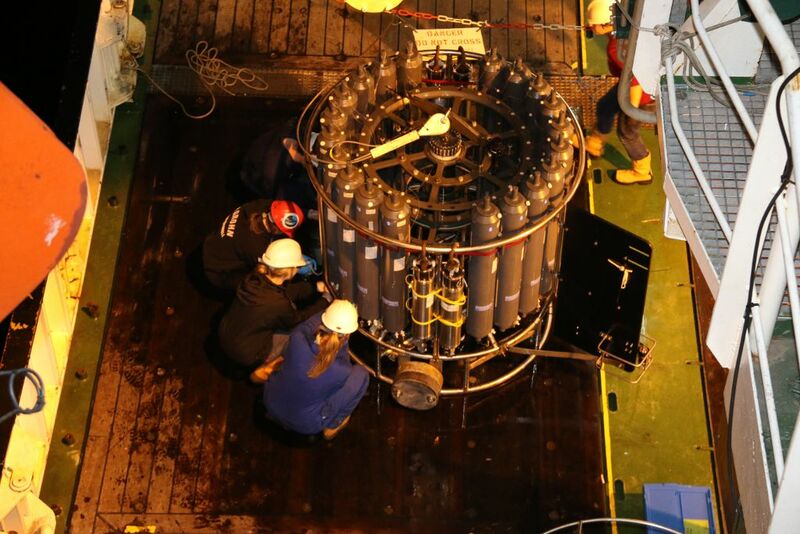 In addition, controlled experiments were performed in the container using the hyperbaric equipment, which consisted in simulating particle sinking through the water column by progressively increasing the hydrostatic pressure and decreasing the temperature allowing mimicking the in situ conditions during the fall of organic carbon-containing particles to the deep ocean. A pneumatic system inducing regular inversions of the hyperbaric bottles maintains particles in suspension. Collaboration with Manon Duret, PhD student at the University of Southampton, NOCS, specialized in the nitrogen cycle, allowed looking at the effect of hydrostatic pressure on the link between organic matter re-mineralisation and dark CO2 fixation, and the nitrogen cycle. 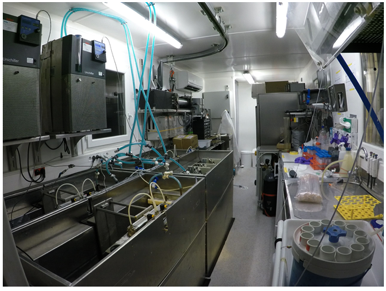 The hyperbaric system was also used in collaboration with Rob Young (NOC), to evaluate the pressure effect on microbial activity and diversity at 4000m depth. What a tremendous success this cruise has been. As chief scientist my role has been to devise a working schedule which is efficient and satisfies a very wide range of activities we planned to do at the location and without exceeding safe working time limits (the ship works 24/7). 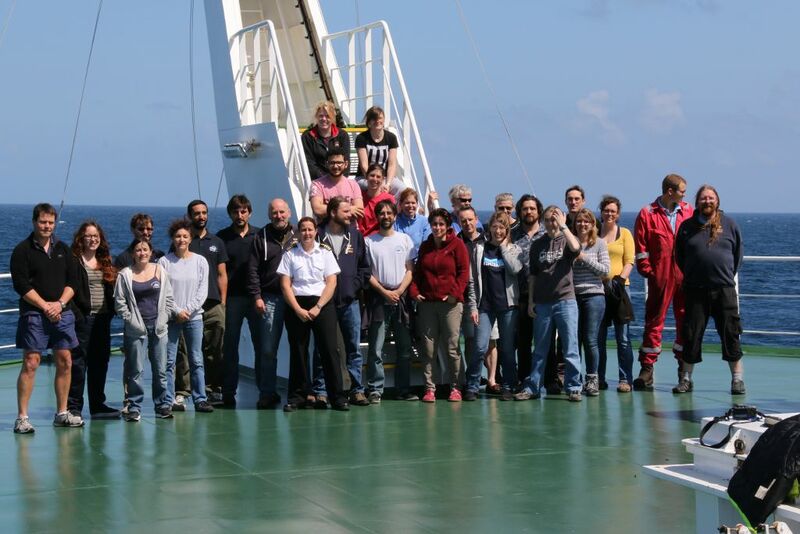 And what a range of activities we have had including sampling the plants, bacteria and animals in the water column, measuring the chemistry of the water right down to the bottom 4800m below, sampling for microplastics throughout the water column and in the sediment and collecting the animals living on the seabed using cores and trawls. Unlike most other cruises I have led we have exceeded our expectations in almost all categories by a massive amount and there are a lot of smiling faces as a result. 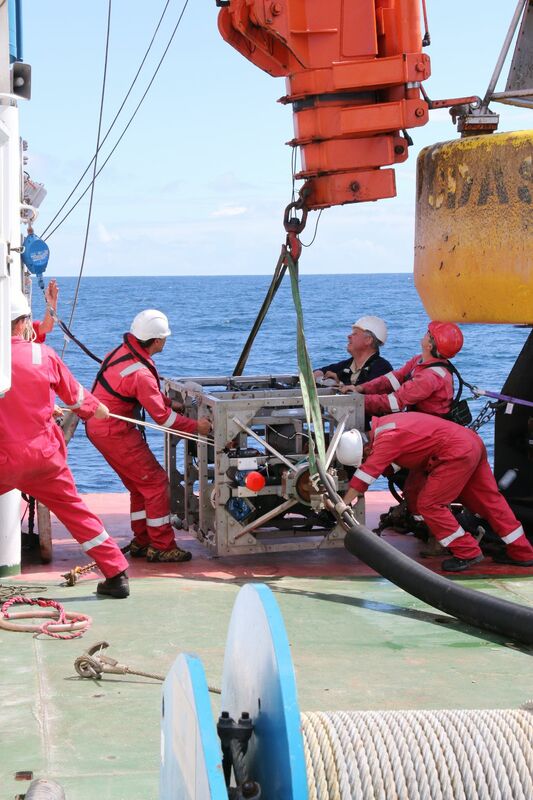 A major and most important objective has been to recover the various instruments which have been recording the conditions or taking samples here at PAP for the past year, service them and replace them for another 12 months. The oceans affect the climate of our planet all the time and it is so important to find out how they change with the seasons as well as over the long term. 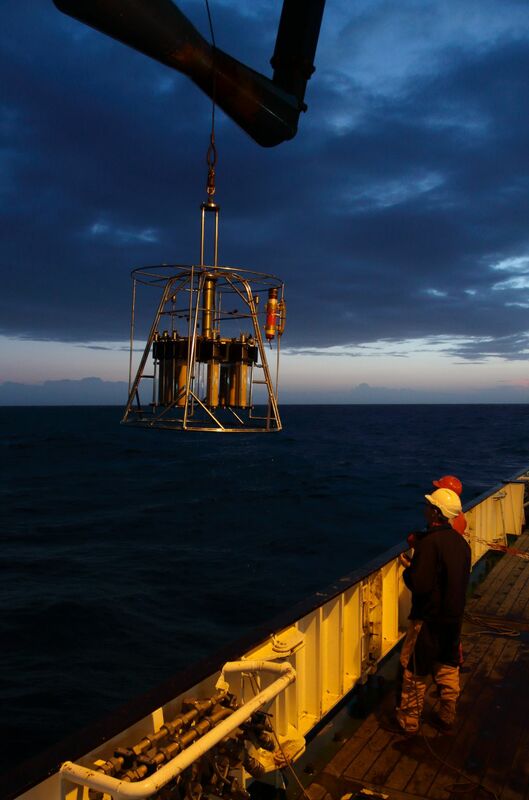 The great thing about these instruments and the platforms that house them is that we find out what is happening in this remote part of the planet even during mid-winter storms when it would be impossible to make measurements or collect samples from a ship. The technology for this is really challenging, but what makes this possible is some serious technological skills and the determination by all on board to make it happen. What a delight this has been to experience. The ship has worked perfectly throughout the cruise with hardly any time lost to engineering problems and very little to bad weather largely as a result of the capabilities of the vessel and the skills of those on the bridge. Even though it has been mid summer, the weather has actually been pretty poor and much worse than normal for this time of year. We did however get a bit of sunshine for a photo of the science team and our Captain, Jo Cox, on the foredeck yesterday. People reading this from their homes may conclude from the word “cruise” that this is just a glorified holiday with fine food and relaxed living. I have to say that you would be right on one count: the food. We have a group of colleagues from Marseille on board and they describe themselves as being “arrogant” when it comes to matters of cuisine. Even they have commented that the food on board has been superb. Nice eh! In contrast “relaxed living” is certainly not a good description and many of us are now looking forward to a bit of television, a day at the races, wandering down to the pub for a beer and a few days of regular sleep in a bed which does not move. For myself I like the movement very much and the feeling of wind and spray on my face is unbeatable, but one thing I do miss is seeing trees and plants. Green vegetables on my plate just does not do it for me, delicious as they are, but by tomorrow afternoon we should be able to see the forests of Dorset which will be a real delight. 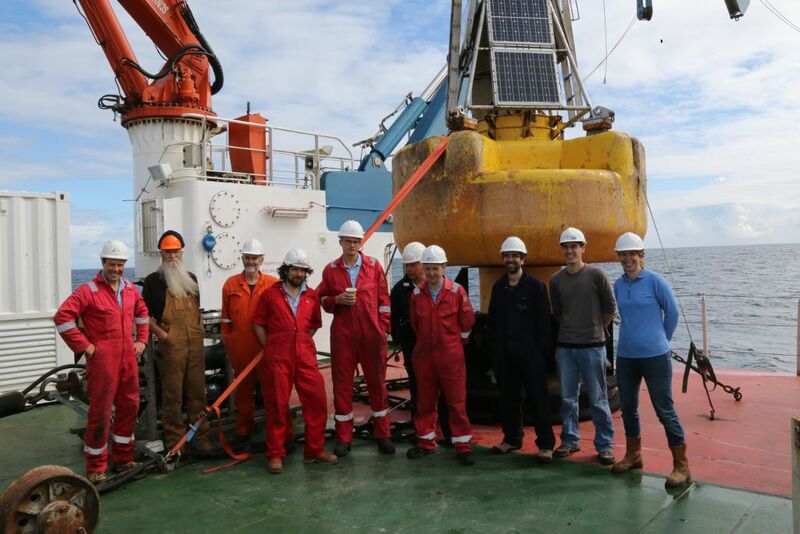 With the PAP1 buoy successfully returned to the ocean for another year of data collection, the decks were finally cleared and the RRS Discovery was ready to go fishing! As a deep-sea fish biologist, this was the part of the cruise I’d been waiting two long weeks for (not entirely patiently!) and I was more than a little excited to get started. 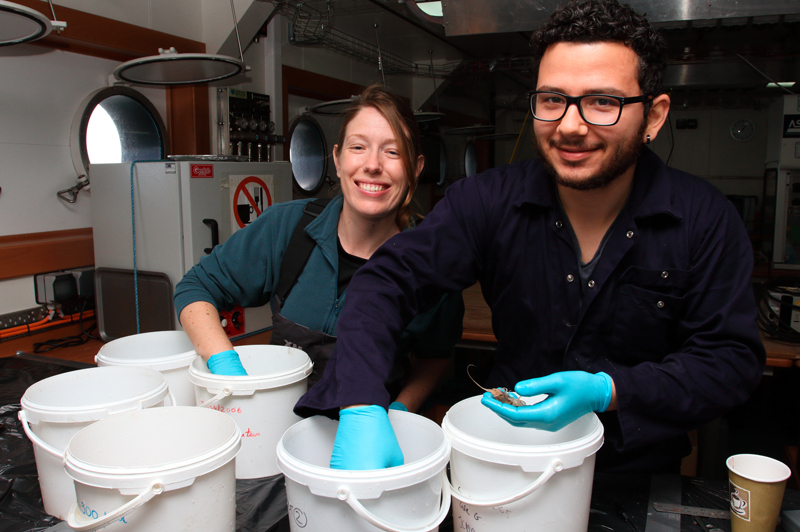 Happily our first trawl of the cruise was a resounding success that kept the benthic team fully occupied for the rest of the day! 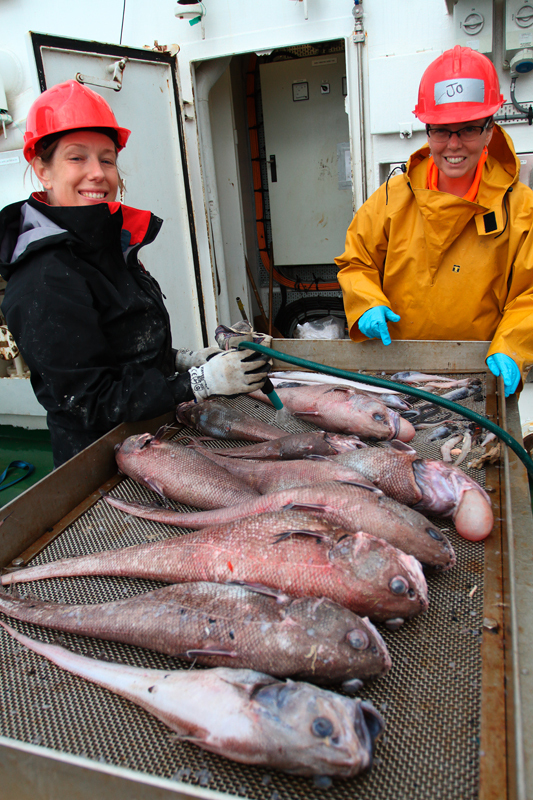 My main interest is in the fish specimens, and Jo and I have joined this cruise from Glasgow University to make sure that the fish from the catches are identified and processed correctly. 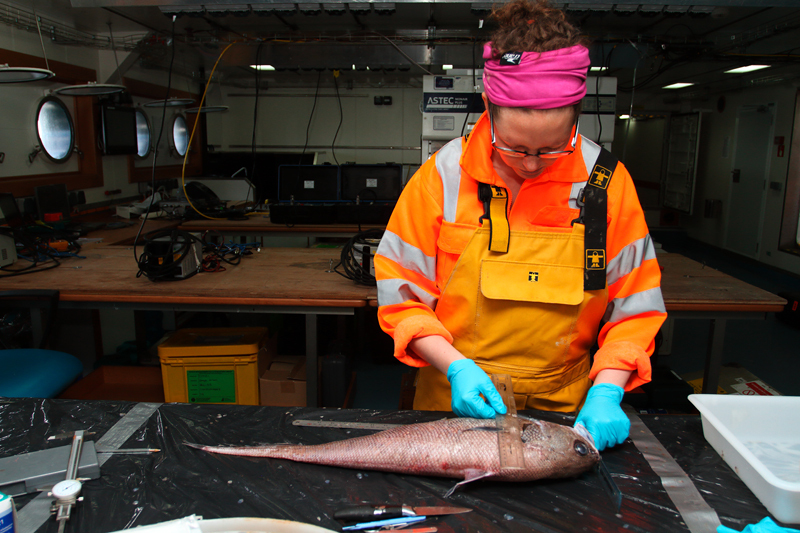 The data we’re collecting now include various measures of body size, condition and maturity status that will help us understand a bit more about the life histories of these abyssal species and how their populations vary over time. On the other side of the wet lab, Laura and Paris have been working on sorting, identifying and preserving the invertebrate megafauna for future analysis. 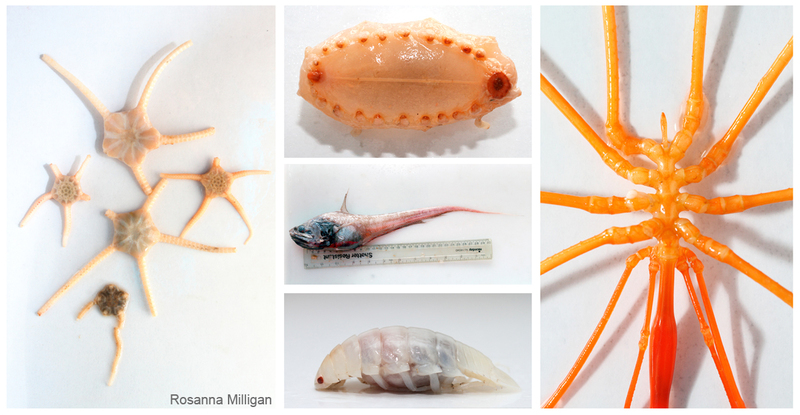 Just like the fish data, the invertebrate specimens we’re collecting now will be able to contribute to our knowledge of abyssal community structure. 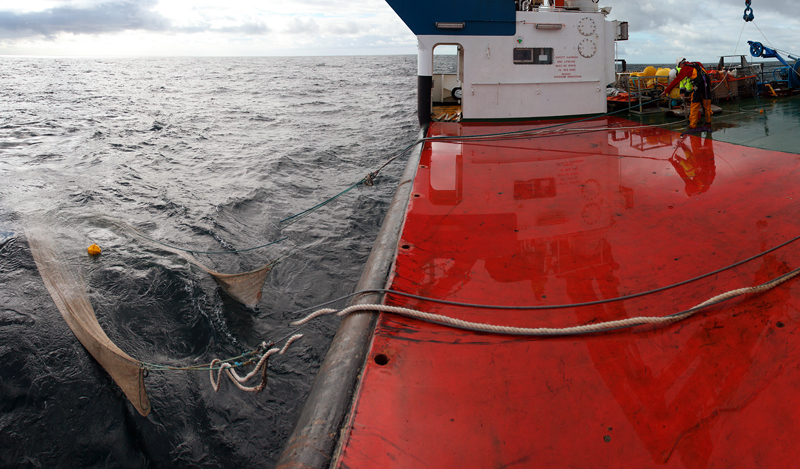 All the data from the fish and invertebrates will be added to a long-term dataset of trawl samples that was started in the early 1980s. Although the time-series hasn’t been running continuously since that time, it nonetheless provides a valuable source of information about how long-term environmental changes may influence deep-sea benthic ecosystems over scales ranging from years to decades. In addition, we’re taking this opportunity to collect high-quality photographs of as many species from the catches as possible. With the increasing use of photographic surveys to quantify marine megafaunal communities, it’s important to have good field guides to the species we’re likely to observe on the seafloor. Trawled specimens provide a great opportunity to get some really good images of individuals that we can be certain we’ve identified correctly. 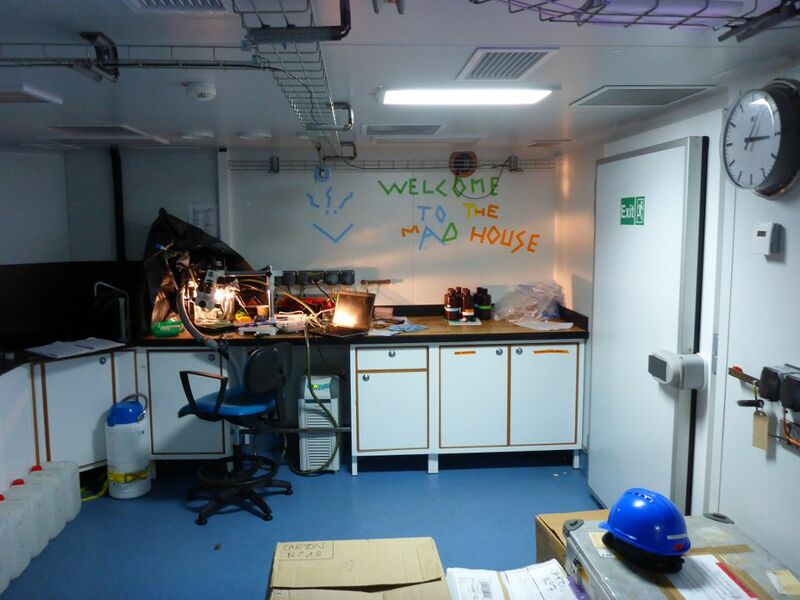 For now though, we’ve got to prepare the labs ready to start working on the second trawl of the cruise. Hopefully it’ll be another good one! 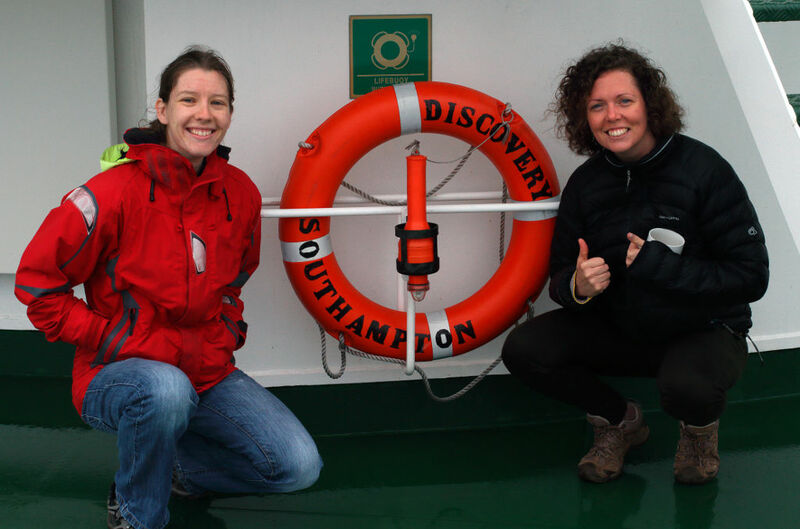 The unsung heroes of any science cruise are undoubtedly the technicians. Planning for this years PAP cruise started as soon as the last one ended. Hours of work have gone into redesigning the frame to improve reliability, fit upgraded sensors and better use of available space. New methods have been developed for recovering and deploying the mooring. Technicians come in all flavours from Zoltan the Computer technician to Ritchie the mechanical engineer and Will the Welder but what quickly becomes obvious is how much of a team they are. Each has his own specialist area but when it gets busy it’s all hands in pulling ropes, driving winches or wielding spanners. 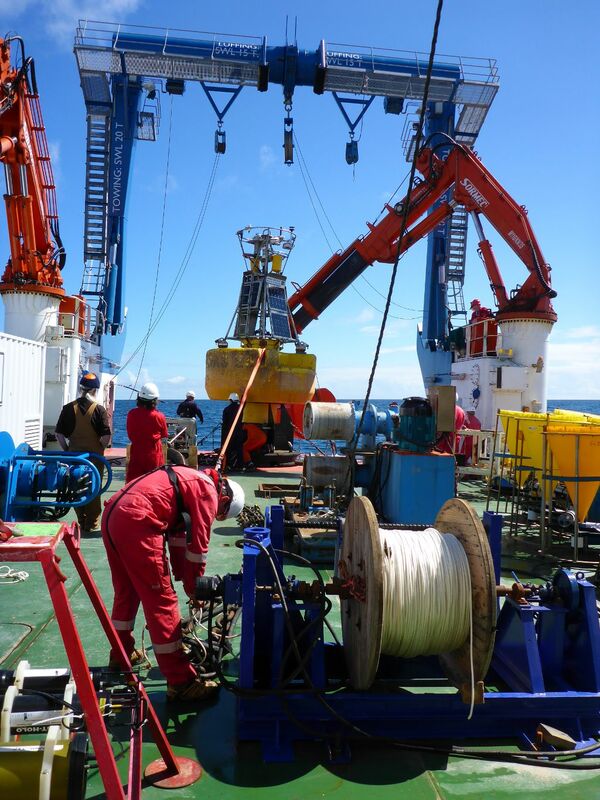 We can go straight from the heavy mechanical work of putting several tonnes of buoy and accoutrements over the side to programming Stand Alone Pumps for precise sampling at depth. Our cruise started in earnest about a month before the ship sailed from Liverpool when the huge amount of equipment required for the cruise was fully checked and prepared for shipping. The multi-disciplinary nature of this cruise meant that a vast array of kit had to be embarked on the ship, for example, four additional deck winches have been bourne, not just for the moorings work but trawling, snow-catchers and camera deployments as well. The mobilisation for the cruise started in Liverpool three days prior to sailing. What may have looked like chaos of large pieces of machinery and box after box being craned on was actually a well orchestrated evolution. It never ceases to amaze that it all fits! There have been several long days at sea getting the moorings ready while still supporting the auxiliary science but it is still an incredibly rewarding career. The sense of achievement in seeing the massive PAP buoy safely deployed and floating away from the ship is one of the highlights of my 30 years at sea. As the cruise draws to a close everything will be boxed up again, the winches will be decommissioned ready for maintenance and the paperwork will be completed for transfer to base. The technicians will spend a long day demobilising the ship in Southampton before the whole cycle starts again for the next cruise. Plastic is now a central part of the modern lifestyle. We use it every day, multiple times a day and it is now almost impossible to do something as simple as food shopping without the majority of food being wrapped in plastic. Due to such a high demand, we produce 300 million tons of plastic globally and unfortunately it is estimated about 6 – 7 millions tons ends up in the ocean. 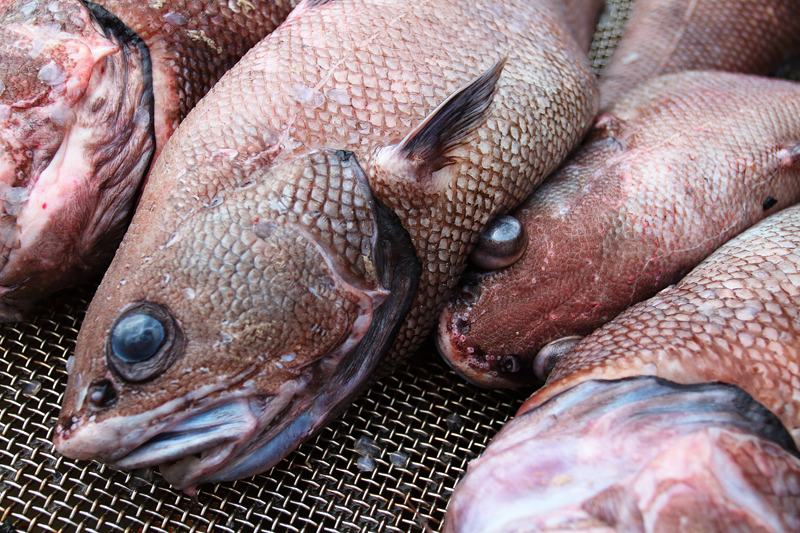 This is not good news for ocean life. Many animals eat plastics like plastic bags and bottle tops, which often results in death as it cannot pass through the body. Other dangers are entanglement in plastics such as fishing gear or rings that hold packs of drink cans together. A more recently identified issue is that of microplastics. These are small (< 5 mm) pieces of plastic, usually formed from the mechanical breakdown of larger plastic objects. Microplastics can decrease reproductive success and increase death in animals such as zooplankton (e.g. krill), which are important species at the base of many marine food chains. Additionally, it may affect human health as if fish eat microplastics or prey containing microplastics, chemicals from the plastics may leach from the gut and into their tissues, which we then eat. Some studies suggest that chemicals from plastics can affect our endocrine system, although much is still unknown. Hopefully you now can see that plastic in the ocean is not a good thing and why it is important to study it. We still don’t know exactly what happens to microplastics in the oceans. The most widely accepted idea is that after enough UV degradation from the sun or enough microbes growing on them they become dense enough and sink to the bottom of the ocean – yet no one has actually studied this process! Here at PAP we are taking samples using marine snow catchers, large volume water pumps and plankton nets to sample the water column from 30 – 500 m to see if we find plastics. 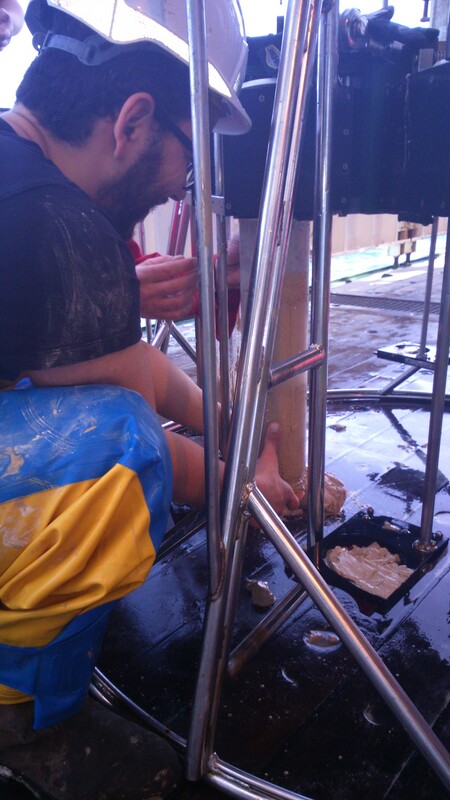 We are also taking sediment samples from 4800 m depth to see if plastics are accumulating in the deep sea. This is very exciting and new work that Katsia Pabortsava and I are involved in and with the help of expertise from the University of Exeter we hope to answer the crucial question: where does all the plastic go? 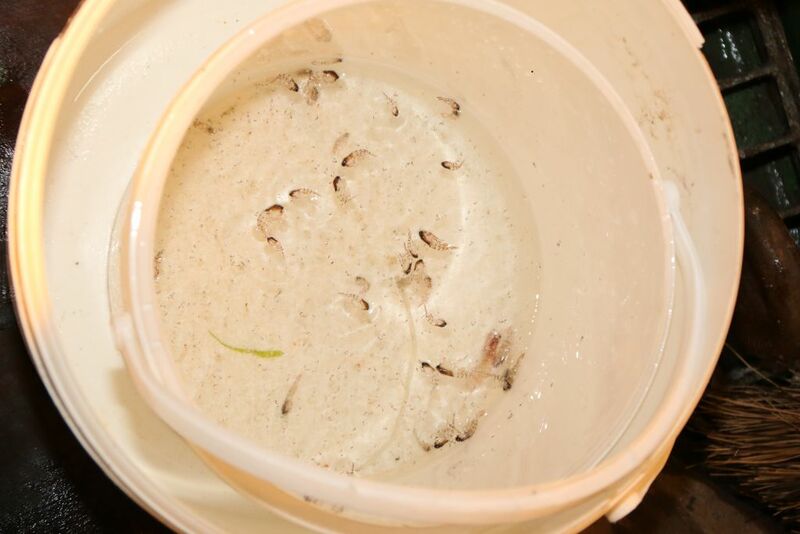 Last night we had a real treat when deploying zooplankton nets to catch microscopic animals. After quite a lot of interesting weather and resulting swell (the large, rolling waves) we had a calm sea for our midnight nets. 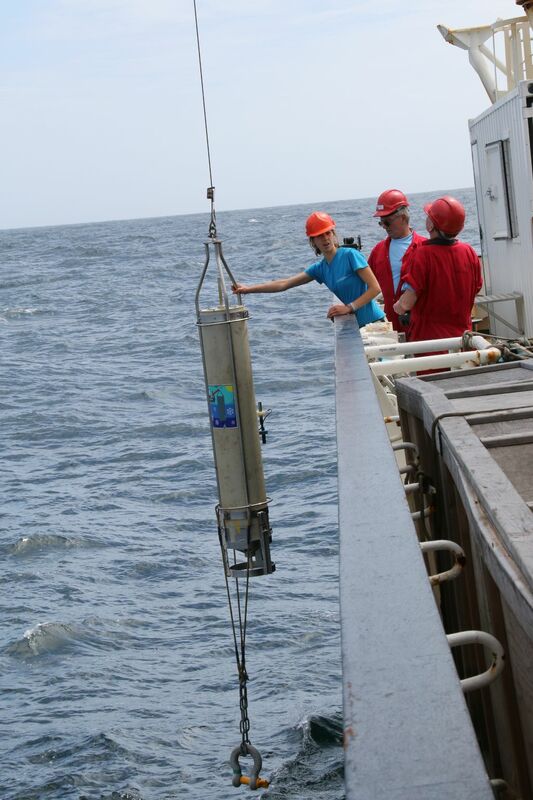 We lowered a net to 200m and haul it in at a steady pace to take a vertical profile of the top 200m of water for zooplankton. The ship’s lights attracted several small garfish (thin, fast-swimming fish that look like cigars darting in the water) then slightly larger garfish, then a big daddy of a fish that must have been 50cm long. The smaller fish jumped out of the water, either to catch food or to avoid being caught themselves. As they did so, their tails caused the ostracods and copepods to bioluminesce, creating a light show of greeny-blues flashes. The bioluminescence is made by bacteria that live in some zooplankton. This may be a way to avoid predators who are attracted or confused by the light while t! he plankton move away. The disturbance caused by the flick of the fish’s tails is sufficient to trigger this escape response. On our third of four nets, we were given an even more amazing display. Two common dolphins arrived to feed on the fish attracted by our lights – they swam around and around taking several fish, and shooting out of the water in a dolphin tango. It was two o’clock in the morning and that was totally amazing – I don’t know any other job that gives such a diversity of experiences. The Jellycam is an underwater 3D stereovision camera that will be used at the PAP 1 observatory to capture images of jellyfish for a year and perform statistics on the population at the Porcupine Abyssal Plain. This study is innovative since no other group has studied jellyfish population in that area for such a long period. The results of this study will teach important information of the jellyfish population and their habits. The current device is a prototype that is intended to demonstrate the feasibility of the project. During the cruise, we want to immerse the camera a few times to identify the weaknesses and the potentials of the idea. The Jellycam is developed at NOC by OTEG and NMFSS and financed by OBE at NOC. It uses two Go-Pro cameras to take simultaneous pictures of the water that are then combined to create a 3D image providing the distance of the specimen in the pictures. Knowing the distance is critical in order to know their size. Otherwise, a small jellyfish in the image could be mistaken with a far bigger jellyfish and vice versa. We brought the Jellycam prototype to the 2015 PAP cruise in order to prove the concept. There are various aspects to consider when designing a Jellycam such as biofouling, light and optical distortion and quality. Biofouling happens when organic particles accumulate in the device. It is an significant issue especially for optical devices such as cameras. In fact, the accumulation of biological life on the front of the camera would show in the first few weeks and we would not be able to perform our long term survey. Our equipment includes a bioshutter with a copper plate. Because of its chemical properties, copper avoids organic material accumulation. The shutter rotates before the picture is taken to clear the view and closes immediately after it finishes the exposure. It was not required for this trial but we took the opportunity to verify how simple it was to add such a device to our prototype. Light is absorbed by the water and one of our main questions was to know if the sensitivity of the cameras would allow capturing the remaining light at 30m depth. In fact, the camera is intended to be clamped next year to the frame of the observatory which is hanging below the buoy with a 30m long chunky chain. The trial demonstrated that the remaining light is very little in optimal conditions, a sunny and calm day like Today. However, PAP is exposed to very high winds and strong storms and the average light along the year is low. Our next version of the Jellycam might include a flash gun to allow useful pictures for the entire year including for the dark days. This is also an asset for night pictures if we decide to extend the frequency of pictures from once a day to more frequent shots. In order to characterise the optical properties of the camera we added on its field of view some reference objects that will provide information about the extent of the field of view of the cameras, the geometrical distortion of each camera, the common area in which we can calculate the 3D image and the light sensitivity at various depths. We used for our calibration jelly babies. This state of the art calibration equipment provided us not only of valuable pictures for the optical calibration but it ensured our first pictures of Jellies with Jellycam. We have been working hard to make this project work for the cruise. It took us a couple of trials to get it right but we finally got important data for the continuation of the development. In the next version, we will add the important bits for a long term deployment and improve the robustness of the electronics in order to deal with the very harsh conditions of the PAP observatory. But for now, let’s enjoy our success and taste the delicious jelly-babies that we used to calibrate the camera. A little bit salty after the immersion, what do you think Nick? The most important thing is that we got these jellies with our camera. Benthic foraminifera are small (usually <300 µm), shell-bearing protozoans that are particularly abundant in deep-sea sediments. The diversity and abundance of PAP foraminiferal assemblages has been the subject of on-going research for over 25 years now. During the DY032 cruise, we hope to examine organisms attached to hard substrates such as ice-rafted dropstones that are commonly found on abyssal hills. These pebble-sized stones support several encrusting foraminiferan-like organisms including komokiaceans, peculiar systems of branching tubes or chains of chambers. 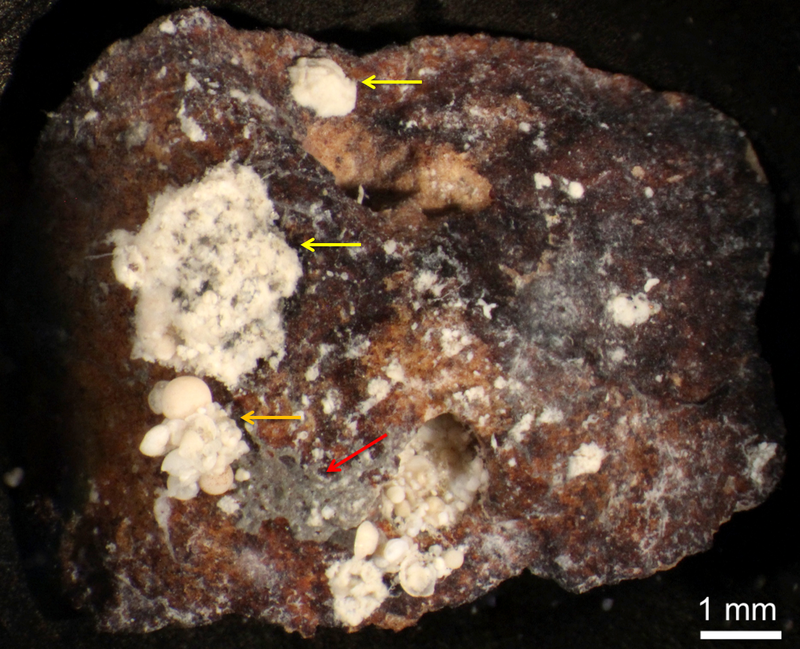 The composition of foraminiferal dropstone assemblages is different compared to that of the fine sediment prevalent in the PAP, which traditionally has been the focus of ecological studies on benthic foraminifera. 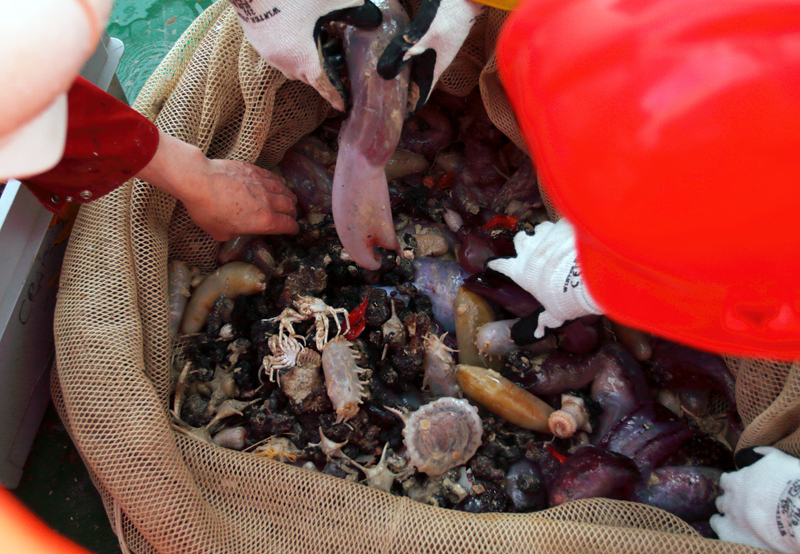 As a result, the majority of these encrusting organisms remain unknown. 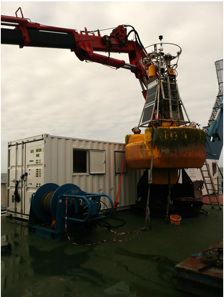 On-board the ship, by deploying two different kinds of gear, the Megacore and the Boxcore, we hope to get sufficient material to work on when we get back to the National Oceanography Centre in Southampton. Successful collection of stones will give us the opportunity to estimate their faunal cover; describe the most common attached morphotypes; and compare them to similar encrusting foraminifera living on other hard substrates such as ferromanganese nodules. Paris operating the Megacorer which he has been collecting his samples from. 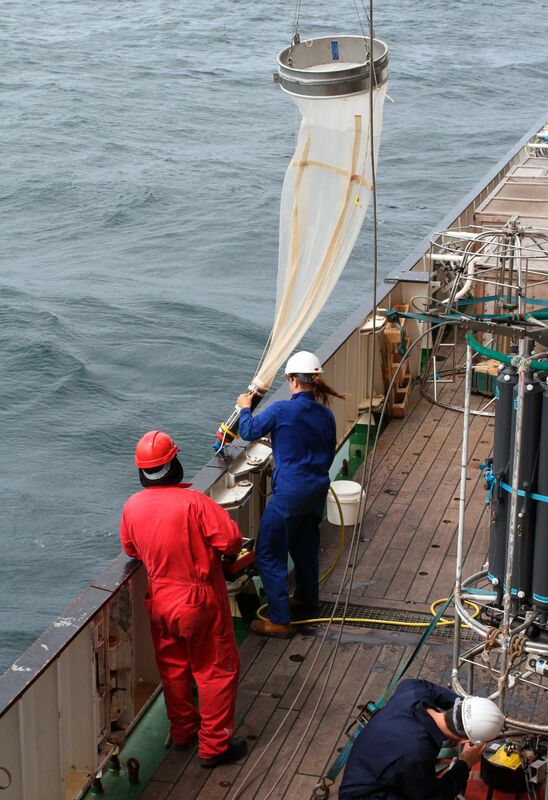 Here are pictures of Corinne deploying her Zooplankton net over the side, Zan and Jo from Glasgow University making sure they know where the life rings are, and another great photo from Zan of pilot whales swimming near the ship.